Ever feel stuck in the Wilderness? One of the most famous stories in the Bible is when Moses leads the children of Israel out of Egypt on the way to the Promised Land. Egypt was a place of slavery where they didn’t want to be, and the Promised Land was a place of milk and honey. Between those two places was the Wilderness, which was a desert. In the life of a company, you can often feel like you’re stuck in the Wilderness. There’s a lack of resources, and it’s often characterized by interpersonal conflict in your organization and complaining against one another. The superintendents complain about the project managers, the project managers are not on the same page as the estimators, and everyone has a problem with payroll and IT. Let’s look at the first point. Great leaders make healthy conflict acceptable. When you’re in a meeting and a couple of your people get into a heated discussion you don’t want to stop it. 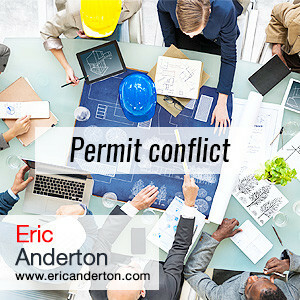 Permit that conflict to take place. If it gets personal, then step in. Unfortunately, what often happens is that a conflict occurs and then people back away. You must give people permission to get deep into an issue and address what’s going on. That’s one of your jobs as a leader. 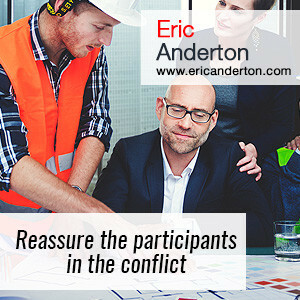 I was in a meeting with a client a short time ago when a conflict came up, and I was impressed by the way the CEO allowed people to get into the issue. He didn’t try and shut anyone down, or “fix” the situation, and he even used a little bit of humor to remind the team that they needed to work together to overcome the challenge. This leads us to the second aspect of negotiating conflict. An issue isn’t always going to get resolved in one meeting. People come together. They get into conflict, but there isn’t a resolution. People need to go apart and consider things and work through various situations come up with new ideas and then come together again. So you have to reassure people that if it’s not fixed in this meeting, there is always room for another session. Now you don’t want issues dragging out, but don’t feel that you have to fix things all at once. Reflection and consideration often result in more effective resolution of issues. Emotions get heated when people disagree. Following a meeting, effective leaders go to the people involved in the issue and reassure them of the importance of their contribution in solving the problem, and of the good intentions of everyone involved in the conflict. As long as that those good intentions are a fact. (By the way, if you suspect that someone doesn’t have good intentions and they have a personal agenda which doesn’t contribute to the strategic success of your company, you must address that). I made a specific point of doing this after a recent meeting with one of my construction clients. There was a disagreement between a couple of the executives. Afterward, I walked outside with one of the participants and assured him that his perspective was valuable and that despite not resolving the issue, we’d continue to work the problem. 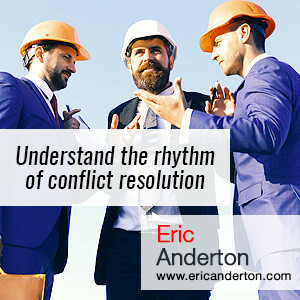 Conflict resolution is not easy, and it requires patience, humility, and practice. So keep these three aspects of leading through conflict in mind when business is like being in the Wilderness and you’re not quite at the Promised Land of success and profitability. ← How Should Construction Leaders Handle Generational Differences?